These days investors opting for Systematic Investment Plan (SIP) has increased as both investors and mutual fund distributors have started understanding the benefits of it. If you look at the figures(in the end of article), you will clearly see that more and more investors are actually signing in for SIPs. 1. Investor A who is a working in Indian Army started his SIP in December 2009 and came to me last week. He had invested Rs. 5000 p.m. in HDFC Prudence Fund and today after 10 months, his total investment of Rs. 50000 in now worth Rs. 58000 plus. He was happy as his annualized return were over 50% and in absolute numbers, he got 16% return in less than a year. He was excited and immediately asked me to raise his SIP from 5000 to 25000. 2. Investor B who is a businessman called me to say that I want to first withdraw all my money which he has invested through SIP a markets are high and would like to stop the SIP for a moment. He would restart the same once the Sensex again comes down. 1. Investor A thinks that SIP is a good product as in less than 1 year, he made a good money. He is willing to increase his monthly investment because of this reason. 2. Investor B is looking at market movements and tries to TIME THE MARKET even with SIP. Now lets understand why these investors thought process is not correct in my view. 1. First of all, SIP is a tool which makes sure that what you save is what you invest. In fact, it is putting your regular savings into regular Investment. It makes sure that you don’t over-spend if the money would lie idle in your savings account. It also works on the principle of Power of Compounding as the moment you save, you are investing immediately and hence you give maximum time to your investment. 2. SIP in Equity Funds would work the best in case markets are going down and not when the markets are rising. But the fact that we don’t know when the markets will be heading south and when it be heading north, it is prudent to run your SIP always so that you average out. But if in the last 1 year, had the markets were to go down, Investor A would not have increased his SIP today. He would have thought that SIP is a bad way to invest even though he would be buying more units at lower levels. This is what happened in 2008 and early part of 2009 where lakhs and lakhs of SIPs were closed as investors felt that their investment value is going down. Now if you look at SIP return for those who has continued their SIP in bearish phase, their investments are giving excellent returns. Investor A should understand that SIP is a long term strategy and works best in an uncertain environment. His decision to increase his SIP should be based on his increased saving capacity and not based on the returns that he got in last 1 year. 3. Investor B still thinks that he can predict the market. On the top of it, SIP is there to make sure that you are not timing the market, now if you start timing the market even through SIP, god knows what will happen to such investor. The reason why most of the investor don’t really make money in stock market is because they think that Stock market is short term investment. I keep saying that markets do give returns but investors because of their thought process, don’t make money out of it. If you look at last 10 years, regular investment through SIP in most of the well diversified equity fund is over 20% p.a. Why do we need to really outsmart those returns by doing something which is fairly impossible. There is a common saying that “CHOBE MIYA gaye CHABBE MIYA banane aur DUBEY MIYA rah gaye.” This is precisely happens to those who likes to time the market. Please do understand that SIP in Equity Funds should be used for long term wealth creation and meeting your desired financial goals like kids higher education, your retirement funds, etc. One should understand how to make the best use else the purpose of taking the product will go for a toss. Indians should understand the benefit of participating in Indian growth story through equity investments and SIP is one of the best ways to really do that. If your answer is Yes, you are terribly wrong. Nice article. Just wanted to add my 2 cents here. Most of the investors calculates simple return while calculating the return of SIP over a period of time. They do not understand one thing, that they have not given their money at one go, infact, they have given in monthly installments & the same way it has been invested. So, they should calculate on the basis of RD and not simple interest. Investor always calculates simple return..
Granted ideally a SIP is the best way to invest in an MF. Supposing I cant afford some amount every month but can do so say every other month. Instead of getting an SIP through ECS can one buy MF units every other month or so? Would be easier if it can be done online. The question is, I understand this is not an ideal way to invest but can this be done? Say, I need to save up for a gift for my nieces wedding which will be in 4-5 years time then can I save up now and then like this and exit reasonably well before the wedding? Ya Pattu it’s possible – you can make additional purchases(online/offline) but this will not be the best way. My suggestion is go for quarterly SIP & make additional purchase when you have some surplus funds. Which is best sip investment for 2010? There is nothing called but yes there are some funds which have good long term track record like HDFC Top 200 & Reliance Growth. How calculating the returns of systematic investment plan (SIP) ? It can be done through rate formula in excel. This will give you approximate rate. For exact calculation we need to use IRR/XIRR which is bit tough. How do sip investment work ? Very soon we will write a post on this. My age is 33, last year I started SIP of Rs 5000/- pm HDFC top 200 – I would like to run it for 27 years & want to accumulate wealth for retirement. Will I will be able to beat the inflation. You have selected a good fund to invest in SIP but if this is the only fund that you are investing in, then it is a mistake. You should make a diversified portfolio with 3-4 funds from different fund houses, must have one mid cap fund in your portfolio. If we assume that your portfolio will generate returns of 12% in this period your corpus will be Rs 1.2 Crore. Definitely your investment will beat inflation with good margin but based on your limited data I can’t say that it will be sufficient for your retirement corpus, as you have not shared your current expenses. At the rate of 6% inflation value of Rs 1.2 Crore after 27 year will be equal to Rs 25 Lakh of today. I am 23 years old and would like to make really good investments so that after 20 years I have good chunk of money, I can invest 45000 per quarter hence I would be grateful if you could please suggest me some tips, MFs or SIPs and name of the banks where I can invest for better returns. It’s good to know that at this age you want to make long term investment. But my practical experience says you will be withdrawing maximum amount in next 3-4 years. My suggestion will is, you should hire some financial planner who can guide you – if there is a mismatch between goals & investments its dangerous. Thank you Hemant you have been a great help :)…. Thanks a lot hemanth..nice article. 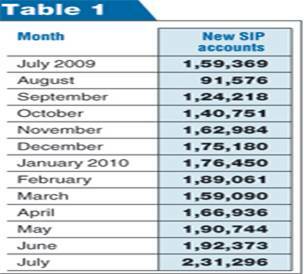 It would be really nice if you can suggest some 4-5 best SIP plans to start. Few good & consistent funds are HDFC Top 200, Reliance Growth, DSP Equity & Sundaram Midcap. Suppose at the time of application, I mention that I will invest (SIP) for 10 years. Can I increase or decrease the term later? How do I do that? You can increase or decrease your SIP anytime. For increasing your SIP either you can start a new sip of deferential amount or you can stop earlier SIP of & start new SIP. Similar in case of decreasing SIP you need to discontinue existing sip and start new SIP. In case if you have 2-3 SIPs you can discontinue one of them to reduce contribution. As rough rule of thumb. What percentage of salary one should invest in sip and in PPF and in saving and in others. As such there is no thumb rule but if you have just started you job – I will suggest to go for 20-25% of your salary. This way you will be able to achieve all your basic goals. Please tell which is best systematic investment plan in india 2011 for kids. There is nothing called best – best is just postmortem. Go for 2-3 diversified equity funds. what is average return of sip in last 5, 10 & 20 years ? hemant sir, i m nri i can invest 1-2 lakh pm ,but after 5-7 year i want 25000 pm, so where i invest ?i want low risk?? give me example ?? It will not be possible to reply this question with limited information. – i would like to increase this monthly SIP amount to another 20000 per month, so total SIP’s per month would be 44,000/- , is it risk to invest so much on SIP? – When should i take the profits , is it really worth waiting for 15 years or so ? – can you suggest the best funds for the 20,000/- which i am planning to add to my Sip portifolio ? Don’t expect more that 12-15% return in long term. 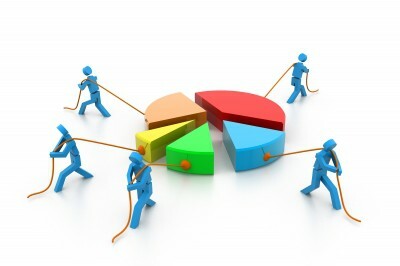 Additional SIP depends on your overall asset allocation & risk profile. SIPs should be linked to your goals, so if you are in early 30s – you should plan things for next 40-50 years. Your overall portfolio looks good except 1-2 funds. If you want to increase your SIP – no need to add new funds. >>>>”Don’t expect more that 12-15% return in long term. Booking profit should be part of asset allocation strategy rather than timing the market.” <<<> but most of the SIP calculators & fund owners will show you corers of money as return if we keep it long term ??!!! Should i leave them for another 10 years , or should i book the profits as i have around 30% returns currently ?? That’s true (crores of rupee) that’s due to power of compounding effect in long term. If your goals are long term – don’t do any profit booking right now(timing the market is worst strategy). You can get details regarding Asset Allocation from downloading the book from Home Page. Would like to invest Rs.5,000 through SIP. It would be great help if you can suggest on how and to which funds it should be invested. No issues on long term or short terms. Coming with SIP post next week – i think it will be helpful for you and other readers. I was running a SIP of Reliance Vision for Rs. 1500/- per month it ended in the last September…i invested Rs. 36000/-in 2 years…the present value is Rs. 49,000/-. It touched Rs. 54,000/- a few months back also but i didn’t withdrew the money. But now as the markets are going down, i think i have taken a wrong move by not taking the money out….please suggest what should i do now. Now i have started investing in STP and i have invested Rs. 25000/- each in HDFC MF Monthly Income Plan – Long Term – Growth and BSL MID CAP A-G. and the weekly premium is Rs. 1000/- for each of them and 1 STP of ICICI Focus Blue chip Equity -G for Rs. 20,000/-. Are my investments right?? and i want to start a new SIP in the month of March this year, i should invest in which SIP? Please Suggest. I think article is self explanatory – Still you are asking the same question. Market timing is not possible – if there is dip & you have some money for long term; invest it. (I am assuming that you are young) I will love to see market tanking 50% from here & stay there for next 5-10 years. 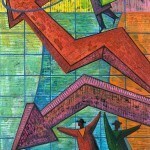 This week I will add one more article on SIPs – hope it will give you some more guidance. Greetings! Thanks for replying. Your answer suggests that my investments are right. I have started a new SIP of Reliance Regular Savings (FEB’ 11) for 10 yrs and the amount is Rs. 2000/- pm. Other SIP which i am running is of Reliance Vision. This is also for 10 yrs. and i have already paid 4 installments. Now you please suggest that is it right to invest in the same company but in different funds. My fund manager has suggested me for the same. For your information i have turned 38 on 11 March this year. My suggestion is when you have an advisor – follow what he is saying. Thanks a lot for your help Hemant. Dear sir,i am fully sated with the advises you are providing through the site.i want to invest 3000 rs through sip.i am planning to invest 3000 rs divided in to 3 funds through sip.first i decided to invest 1000 rs in reliance gold saving fund but after when i read your article about this fund i decided not to invest in it.sir i am ready to invest for a period of 10 to 15 years. please advise 3 good sip for me .i am also investing 3000 rs monthly in Lic for a period of 20 years for my child marriage.the agent told me that i will get 14 lacks after 20 years. 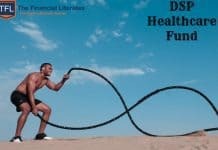 but after reading the articles i thought that it was not a wise move by me.i would have to invest the money in sip.whats your opinion?sir another doubt is that i know a little about mutual funds.if i am investing 1000 rs to start a fund in the next month if the market falls can i invest 2000 rs for buy more .sir i am waiting for your valuable advice. You can invest in any 3 funds from above list. If you still want me to write 3 funds here – HDFC Top 200, DSP BR Equity & Sundaram Midcap. You can make additional purchase thereafter. If you are not sure about your LIC – get second opinion from some other agent/advisor. I am 26 yrs old, have just started earning and have decided to start investing in Mutual Funds through SIP. The problem over here is that i don’t have much knowledge about the market and i am really very confused about how to invest and most importantly, on which SIPs. The only knowledge i have gathered about this investment is by reading various articles online. I am planning to invest a sum of Rs.4000pm. Please advice me what will be the best method of investing? Whether to invest a wholesome amount of Rs.4000 in a single SIP; divide it into two different SIPs of Rs2000pm each; or divide it into 4 different SIPs of Rs.1000pm each. Accordingly, please advice me the SIPs i should invest and in which manner. Also i would like to know if i need to divide the amount into 2 of 4 different SIPs, is it better to go for different SIPs of a single Fund house or i should opt for SIPs from different fund houses? Some people have also advised me to opt for SBI SIPs only as its the safe one. 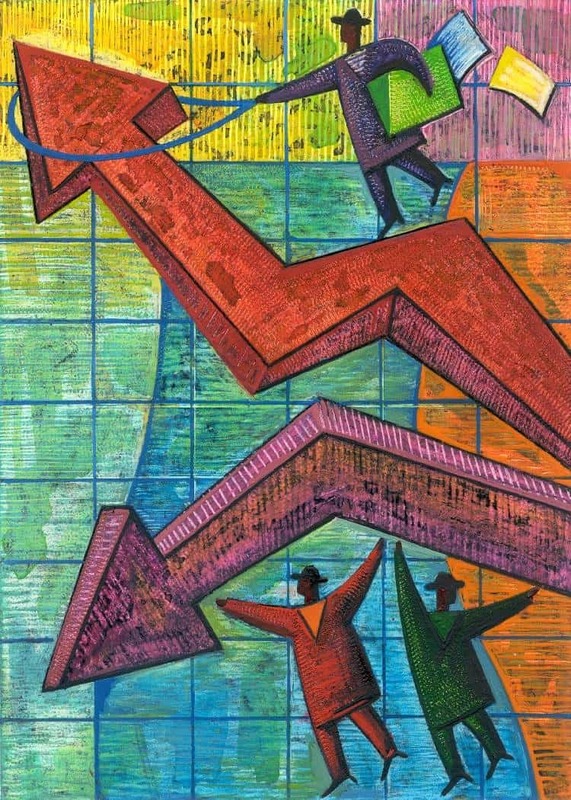 Is there is more risk in opting for SIPs from other fund houses. Eagerly waiting for your response. Thanks in advance. You can start 3-4 sips from different fund houses. Not more than 1 fund from single fund house. You can invest 2000 in large cap & 1000 each in mid cap & multicap. SBI is safe is Myth – when it comes to Mutual Funds. what is mean by large cap, mid cap & multi cap. also what is mean by Fund house. i invested in reliance gold sip(2000pm) please suggest me thew future. If this is your only SIP – discontinue it. Investment in gold as an asset class should be limited to 10% of overall investments. Too many questions 😉 Please find inline reply. > You can find an advisor or look for mutual fund agent in your locality. You can also reach AMCs directly. > In link you will list of some good SIPs. I want to invest of Rs. 2000/- in two SIP s (Rs. 1000/- each). Which are the best SIPs now for a investment for at least 4-5 years. Kindly advice. You can start with HDFC Top 200 & DSP Br Equity. You can start with Balanced Funds. what is the diff between MIP and SIP. Which is the best interms of returns. After going through the comments it is quite clear that most of the people who are asking questions are quite ignorant as far as investment in equity mutual funds is concerned.I am surprised how people can invest in a product without knowing anything about it merely on the basis of some advice.It seems that people are neither reading posts nor the comments before asking questions. I am 29 years old and married. In January 2011 i was blessed with baby girl. Being a father its my primary responsibility of good education and marriage for my daughter as well as my retirement plan. For this i have to invest in right ways with increasing SIP. I am increasing my SIP as my income is increasing. Following is my SIP portfolio, Kindly suggest i am on right way or i have to change one of below funds. Your portfolio is risky as it has not been properly diversified across fund houses. Normally you should not have more than one fund of a fund house in your portfolio. I don’t understand your selection of ICICI Prudential Infrastructure and Reliance Vision. Both are nonperforming funds. Your selection of HDFC Growth is also strange as a lot of better performing funds are available from this fund house. Hi Anil. Thanks or your reply. I also realize that ICICI PRU INFRASTRUCTURE fund is non performing fund. I start investing in this fund from 15-Apr-2011 with 2000/Pm. and similarly 1000/P.M for RELIANCE VISION fund in April 2011. What will be better option now ? I will Switch out both of these funds after 1 year. What is your suggestion target to my goal ? You can consider replacing the following funds. 1 HDFC Growth with HDFC Midcap opportunities. 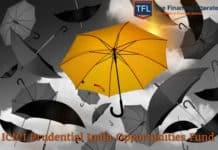 2 ICICI Prudential Infrastructure with ICICI Prudential Focused Bluechip Equity. 3 Reliance Vision with Reliance Equity Opportunities. Thanks alot Anil for your suggestions. 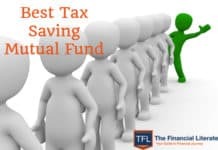 I will definitely switch out from these funds after they complete 1 year to avoid exit load. As i already mention that i am long term investor with increasing SIP when my income increase. i want to invest in gold in SIP. What about gold saving funds or i can invest in equity market? What funds you suggest ? Direct equity investment in market is very risky and must be avoided. If you want some exposure to gold you can consider funds like Quantum Gold Savings Fund. However exposure in gold should not be more than 10% of your portfolio. You can consider these funds for additional investments. 1 ICICI Prudential Focused Bluechip Equity. 4 Reliance Equity Opportunities Fund. Good investment for all mambers. TFL provided me a great idea to start my investments in mutual funds. Keep Going.. I have decided to invest in these below funds in SIP. Please advice me if this is good selection or need any changes. My salary is 40,000 and married. I can invest 15000 in a month. Already investing in PPF 5000 per month. And having HDFC SLClassic Insurance with a premium of 2500 per month. Please advice on these investments. 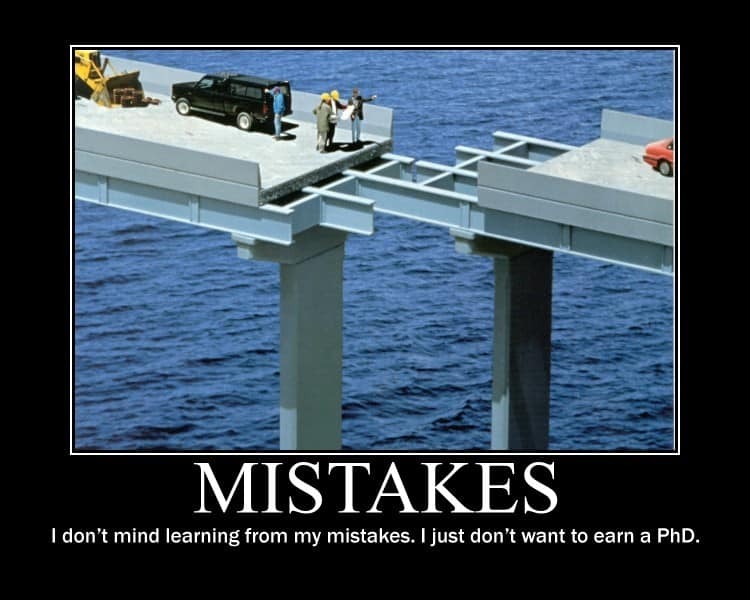 Your portfolio seems to be fine but rethink on insurance plan. my age 30.have the child of 1yr.paid for lic policy yearly 36000 with money back and term plan.also have the loan emi 11203.my current earning is 40k but my only inocme is 20k.suggest me the investment plan for my retiremnet,child or in use of future. Would like to recommend a good book to all investors which i have personally read – “Investment Planning : Turn Your Money Into Wealth” written by Ankit Gala & Khushboo Gala. Also i would like to know if i need to divide the amount into 2 of 4 different SIPs, is it better to go for different SIPs of a single Fund house or i should opt for SIPs from different fund houses? how can i start sip plz tell me full process step by step. Good to know that you are benefiting through the education we are providing. With regard to your investments, you should create a portfolio which can address your long term goals. For this, you need to have larger share of your investment aiming towards consistency. You can have 3 SIPs diversifying into different categories. I am new born baby in this financial planning market and want to save/invest some money to meet my future plans.I am [email protected] and my monthly income is 25K. I am visiting your articles today(first time)@30 june 2012 and telling you, i have crawled too many sites about saving/SIP/MF but no one is like this. Hats off for your knowledge sharing. Sir, I have a responsibility i.e. education loan except this nothing and i can mange to save 10k/month as i am independent. I would like to invest some money. kindly suggest me some good option. i have started to invest in PPF since april 2012. I was in share market(impulsive buyer/seller) and as your article said, i was trying to time the market and hence faced the loss , so as of now out of market. right now have some shares left but never watching the market. I would like to listen from you(SOON) about some best SIP plan for me to start for 7-10 years. I invest Rs 5000/- month in HDFC TOP 200 for june 2010. after investing 2 years i found the current value is little bit less from fund value. should i continue? There can be many reason for underperformance of a fund. The option of withdrawing or switching arises when the reason are more related to management or objective to the specific fund. Moreover when you are investing through SIP mode the horizon should be longer. In such situation you will see the volatility in the markets and so in your fund in short period, but if you have invested for long term then underperformance should not be a worry and so take any decision only after reveiwing it on all parameters wrt your goals. I’m new to this kind of investment. Please give me a link where I can educate myself about Sip. Also, I can invest 5000 in a month… Which funds should I go for and how to divide my investment. I am deeply indebted for your valuable article on SIP. It’s certainly an eye opener. Just had a question. My age is 26 years and am currently in Merchant Navy. I am planning to start an SIP of Rs 5000/-. My financial advicer is suggesting to start it in Bangko Sentrans nd Pilipinas i.e Central Bank of Philipines. I sincerely don’t have any idea about this bank. Please advise me. Since I am an NRI, will I get tax exemption. Very well written article. I am lucky I landed on this page.